Symphony Ltd., Avanti Feeds, Tasty Bite Eatables, Relaxo, PI Industries, Eicher Motors, Safari Industries, La Opala RG, Bharat Rasayan, Ajanta Pharma – These are well-known names. Some of the biggest wealth creators in India over the last ten years. Imagine finding just one such company early in its lifetime. No doubt, you have seen the charts of how Rs 100 invested in ‘X awesome company’ in 1999 would be worth enough today to pay off the national debt of a small country. For the record, investing Rs 1.5L in Symphony in 2008 could technically get you an apartment on Altamount Road in Mumbai worth Rs 6 Cr today. They are rarer than unicorns (the mythical horned creature, not the more common cash-guzzling internet startup). Roughly 1 in 350 public companies that survive grow market cap by 100X or more. They spend years, even decades going nowhere. Symphony listed in 2002 but its stock barely moved for five years before beginning its meteoric rise. They go through massive drawdowns. Avanti Feeds has gone from 950 in Nov 2017 to 415 in July 2018. How many current shareholders who held it back then will still hold it in 2025? What separates companies that go on to become multibaggers from the rest? The answer typically is a combination of crazy good execution skills and being in the right place at the right time. One other thing is the ability to generate high profits relative to the capital they need forming a virtuous cycle of being able to fund profitable growth through internal accruals. Sustainably high ROCE. The holy grail. But there’s a logical flaw when we select past multibaggers and try to find what’s common between them as a way of identifying future multibaggers. 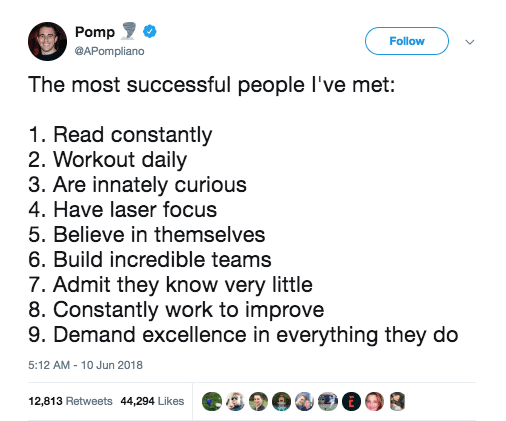 It is best captured by this tweet (and its reactions) about what makes successful people. 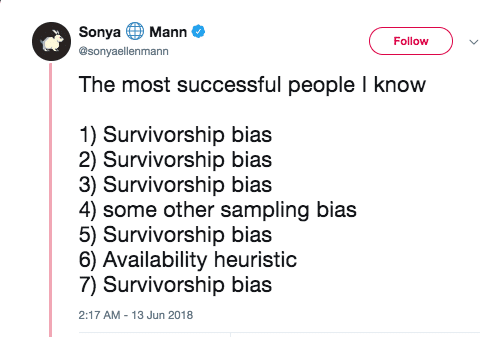 Instead of cherry-picking success stories to find “patterns”, we need to look at how all companies, with low and high ROCE have done historically. Objective: To test whether a relationship exists between ROCE and stock returns. Therefore, historically, have companies with higher ROCE delivered better returns than the rest? Method: A cross-section of over 1500+ companies classified into deciles (ten groups formed based on their ROCE rankings). For each year from FY 2008, lowest 10% of ROCEs would form the bottom 1st decile, the next highest 10% the 2nd decile and so on until the top 10% ROCEs would form the 10th decile. This ensures that we are looking at the entire cross-section of abysmally low, mediocre and high ROCE companies. 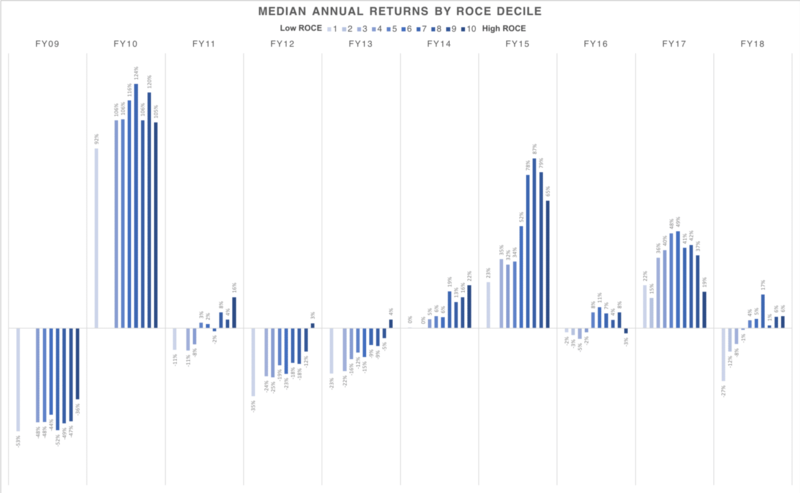 Chart shows annual median returns for companies in each ROCE decile. How to read this busy chart: Within each year, the left-most bar (lightest blue) represents returns from companies with the lowest ROCE in the previous year, the darkest blue bar represents returns from companies with the highest ROCE. Companies with ROCEs in the middle, make up the remaining bars. Therefore, investing in companies with the lowest ROCE at the end of FY 2008 would mean a median return of -53% in FY 2009 compared to -36% for the highest ROCE companies. It would have been nice to see every bar showing higher returns than the bar to it’s left thus confirming beyond doubt that higher ROCE means higher return. But that’s the problem with how real life data communicates. More like a grudging confession than a willing informant. In good times, all except the worst ROCE companies do just fine. FY10, 15, 17 when markets did phenomenally well, the highest returns did not come from the highest ROCE decile. The lowest ROCE deciles underperformed by a distance. In bad times, all except the best ROCE companies struggle. FY09, 11, 12, 13, 16, 18 when markets were indifferent, the high ROCE deciles had significantly lower damage, and even did respectably. 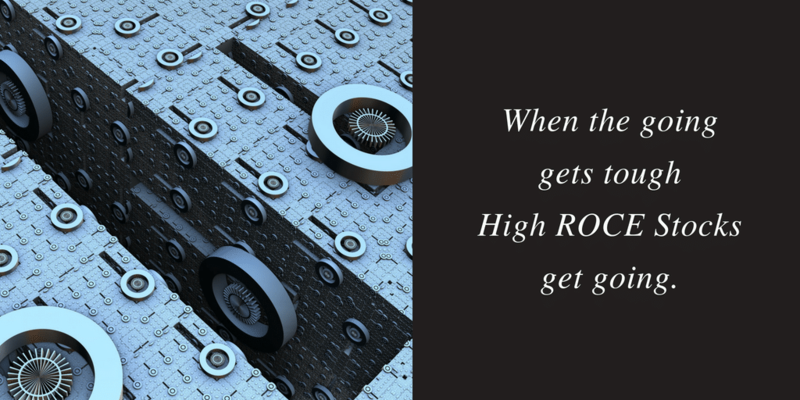 If in good times, the best returns come irrespective of ROC and in bad times, high ROC only barely keeps its head above water, then does Return on Capital even matter in portfolio construction? The high ROC decile outperforms all others by a margin. 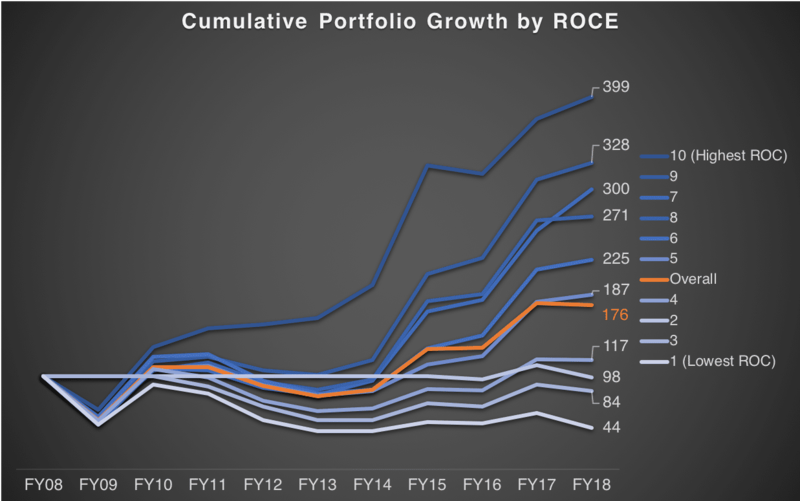 Almost all ROC deciles outperform lower deciles. Not losing much during bad times ensures outperformance over the long term. We know this intellectually, just not intuitively. Return on Capital matters. A portfolio of companies with sustainably high Returns on Capital will outperform the broader market over the long term. 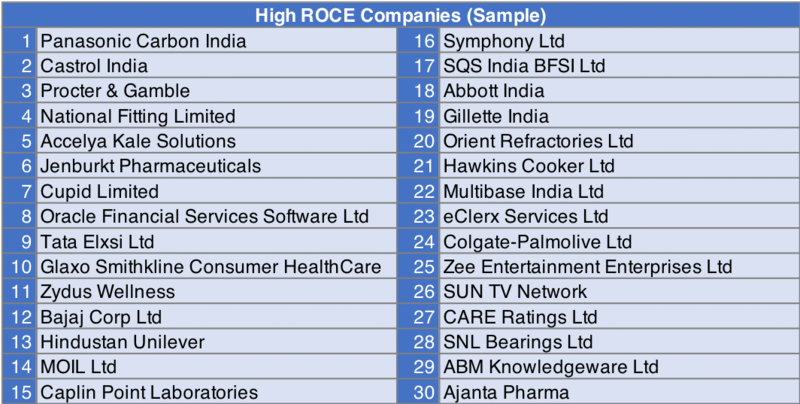 So, which companies are in top ROCE decile as of 2018? Note that none of the stocks mentioned are recommendations. ROC is just one of several important parameters to consider when picking stocks. (Vakrangee and 8k Miles have reported consistently excellent ROC, for instance. And they’re not exactly what you’d call invest-worthy). The point of this exercise is to examine the power of one metric to help reduce the probability of making poor investment decisions. Return on Capital should be part of any stock selection framework.